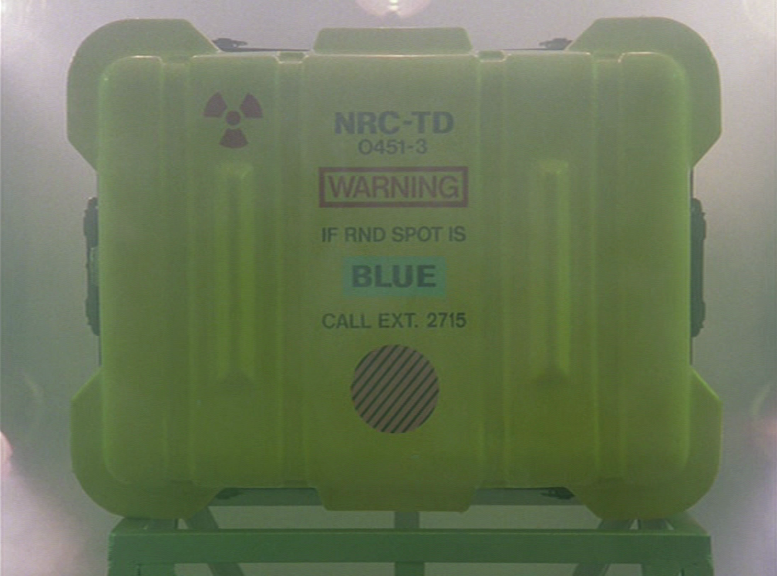 From the Season 3 Episode entitled "Kingdom Come" in which hawke and santini attempt to track down a case of stolen nuclear detonators. We know people have made helmets, flight suits, cyclic's, even replica Airwolf water containers. Back to the future fans often have a plutonium case, but how many Airwolf fans have one of these? Anyone ever made one of these?, does anyone know where the original is today? I have managed to Identify this cases purpose . It's gotta he most Ironic thing i have ever seen, what it is.. It is a "Prop Case" mull it over for a moment.. that case which is a prop.. is a prop case. Rugged Construction Utilizing High Impact Polyethylene. Spring Loaded Handles On Either End. Twist Cam Activated Latches Wing Nut Latches. 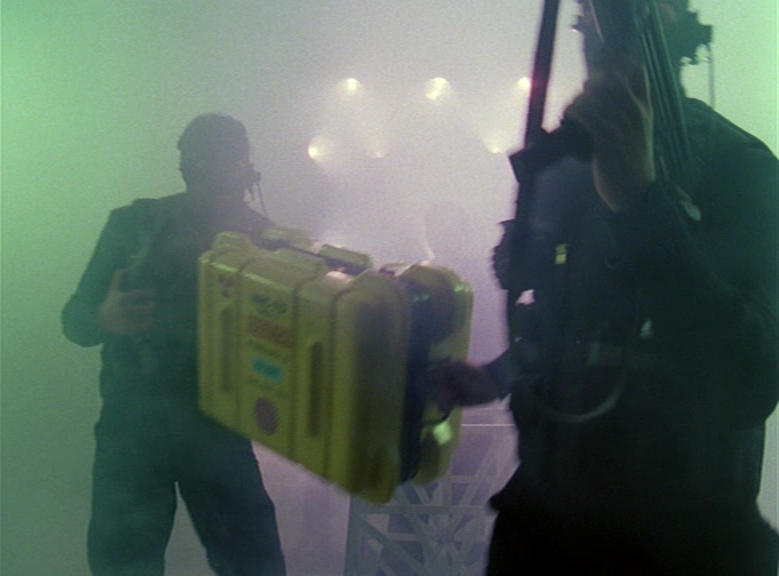 Check Them Out Here (NOT THE SAME EXACT MODEL) but until i see anything even remotely similar including the latches then i am going to list this Prop as a "Prop Case"
Whats confirmed in the "design" is shown on the ones that are for sale, nothing has yet to match this. 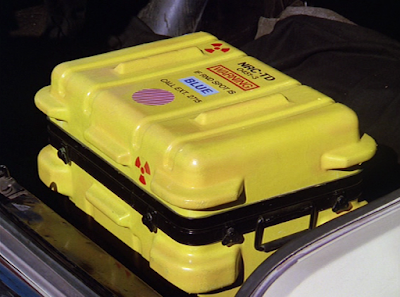 A member of the airwolf community Teresa Houck said "It looks like a CBRN kit case. Though I'm not sure they had those back then." This could be plausible though i have yet to find one even remotely close to it (made pre 1990's) But the Hazmat concept could ring true for a cbrn case being shown in (condemned, a season 2 episode) while showing Hawke and Caitlin wearing hazmat suits. I pondered more on this concept and even figured maybe the twisters where to seal in a contaminated suit.. but who ever did the sealing would have contaminated the case, or maybe the suits sealed in clean as to not contaminate the work & the case is sprayed germ free. But i think it would have "Hinges" on the back and a rubber seal. I defo think is a boats prop case at the moment. Quick Search Tags: Airwolf, Case, Prop, Screen Used.